One of the classic flavors for parties or a get-together is Buffalo – whether you are enjoying Buffalo Wings or perhaps a Buffalo Dip. 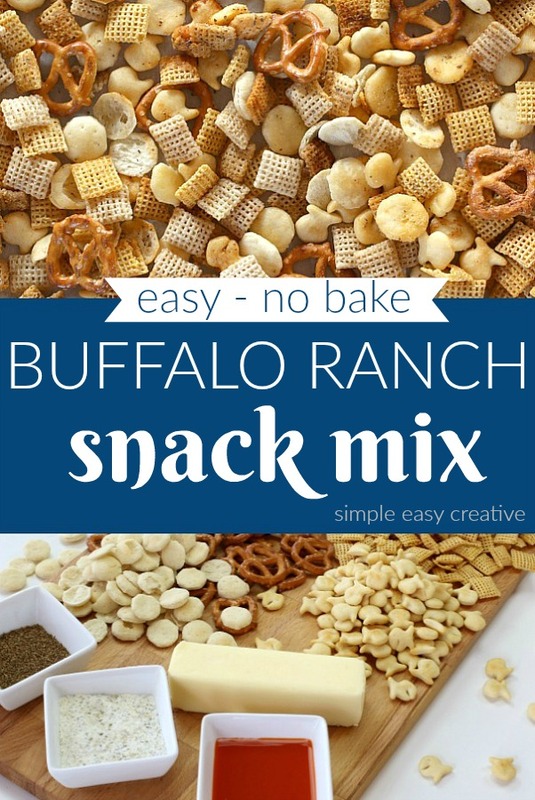 Now you can also enjoy the same great flavor in this Buffalo Ranch Snack Mix. 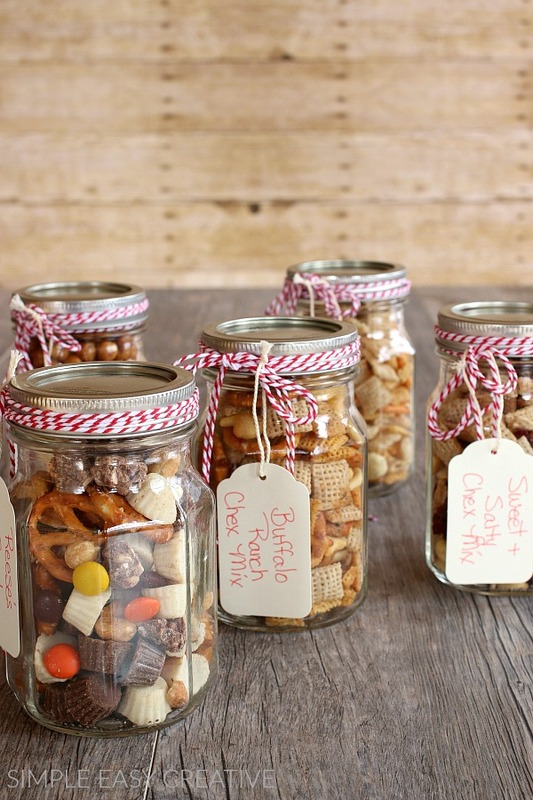 Whether our family is enjoying watching a movie together, having a fun game night, or hosting guests for a party, we all love a good snack mix. 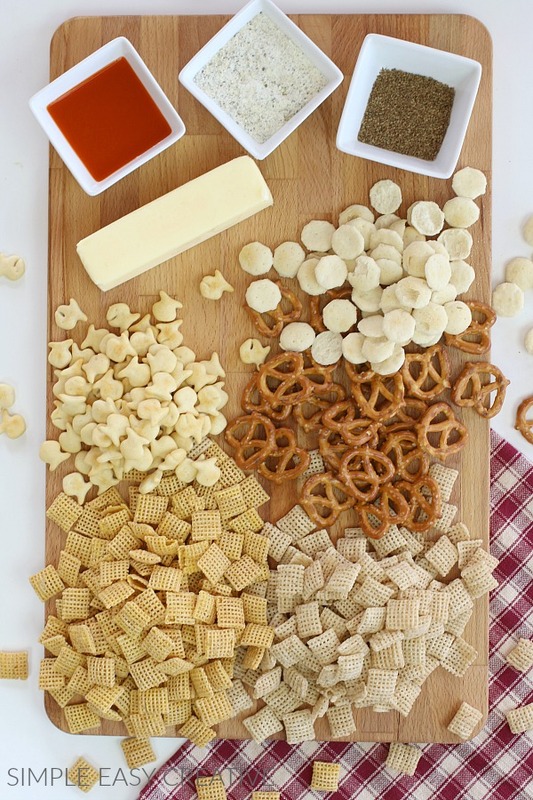 Everyone will love the flavors in this Snack Mix, it’s super easy to make and is made in the microwave making it even easier! No need to turn on the oven! 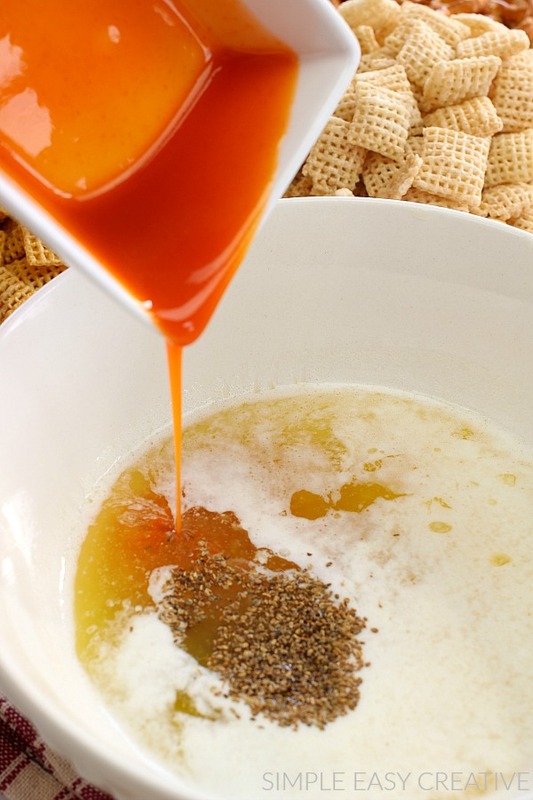 This Buffalo Ranch Snack Mix is sure to liven up the fans with the combination of Chex cereal, Pretzels, Parmesan Flavored Crackers (we used Goldfish) mixed together and kicked up with Buffalo Wing Sauce and Ranch Dressing Mix. 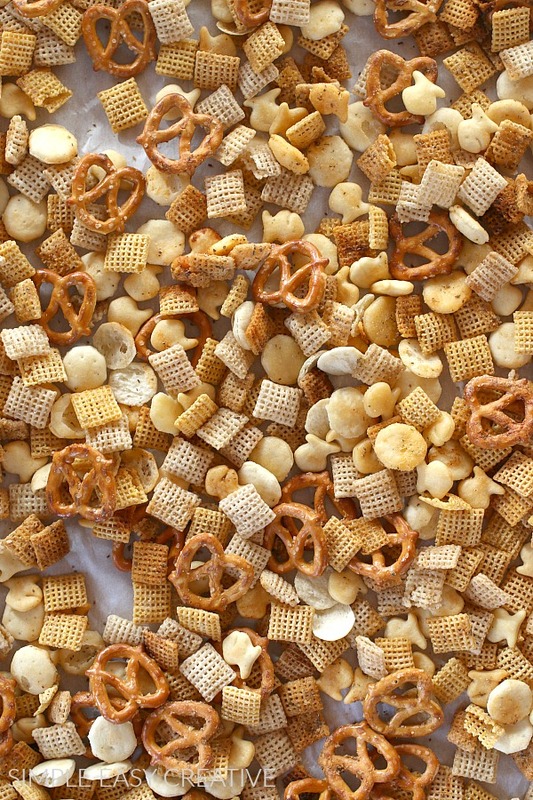 Combine the Chex cereals, crackers and pretzels in a large bowl. 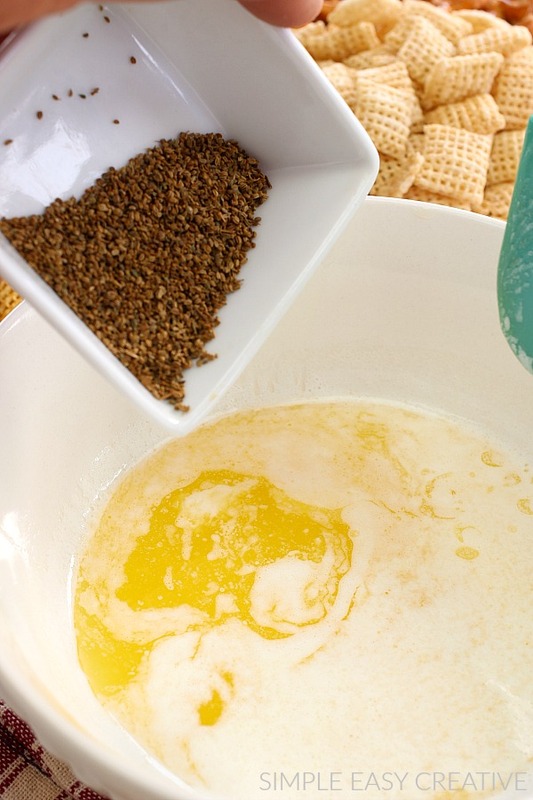 Then melt the butter in a microwave safe bowl, add the celery seed. Add the Buffalo Wing Sauce to the melted butter. Now add the dry ranch dressing mix. Gently stir mixture until well combined. Pour over cereal mixture and stir until evenly coated. Microwave for 2 minutes, stir, continue to cook for 2-3 more minutes. Stir. 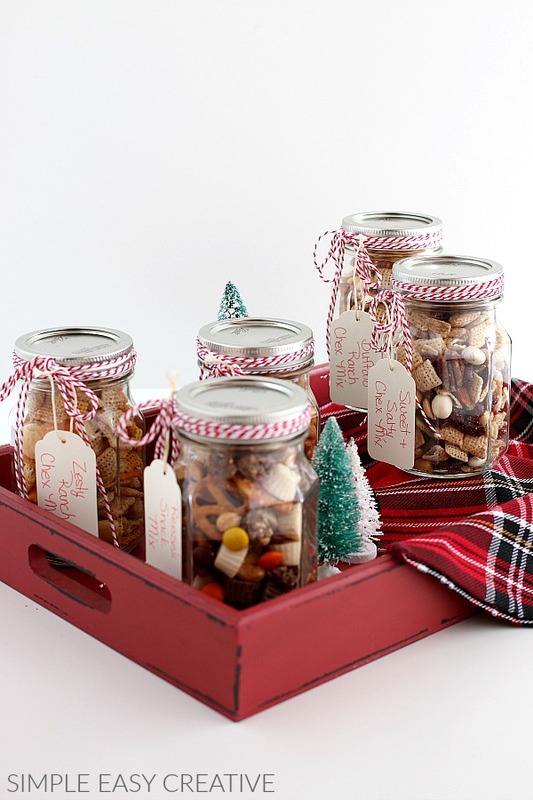 Spread the snack mix onto a cookie sheet lined with parchment paper or a paper towel until cool. 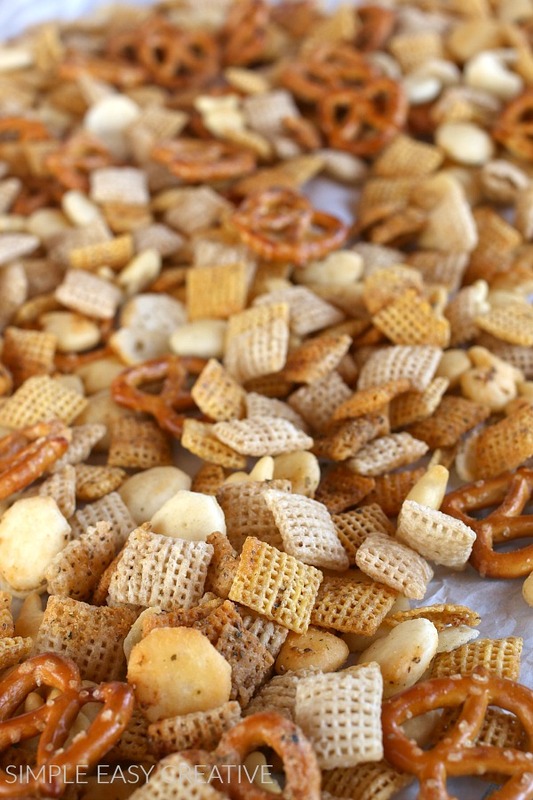 After the Buffalo Ranch Snack Mix is cooled, it’s time to enjoy it. You can serve it in a large bowl, individual bowls, or give it as gifts! 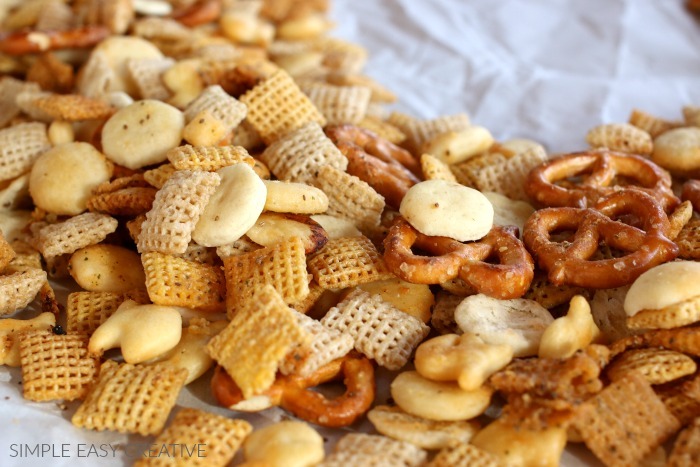 One of the best things about snack mix recipes is that a little goes a long way. 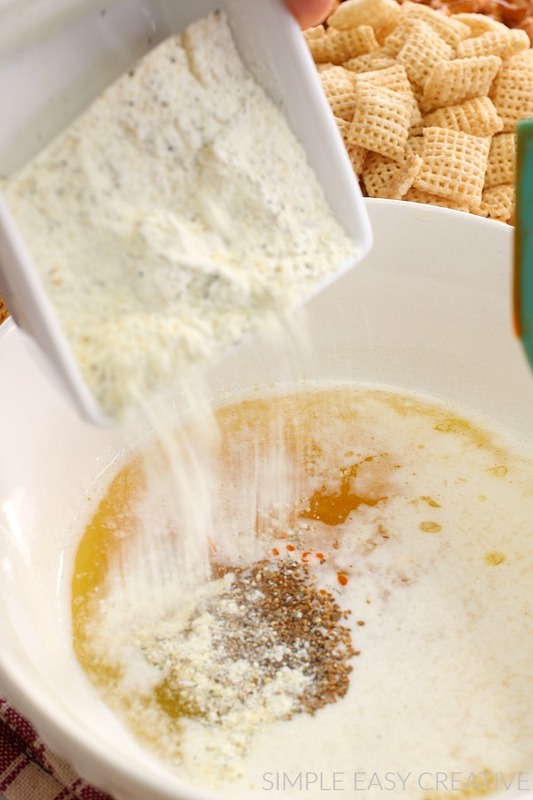 Classic flavors of Buffalo and Ranch combine in this Snack Mix. 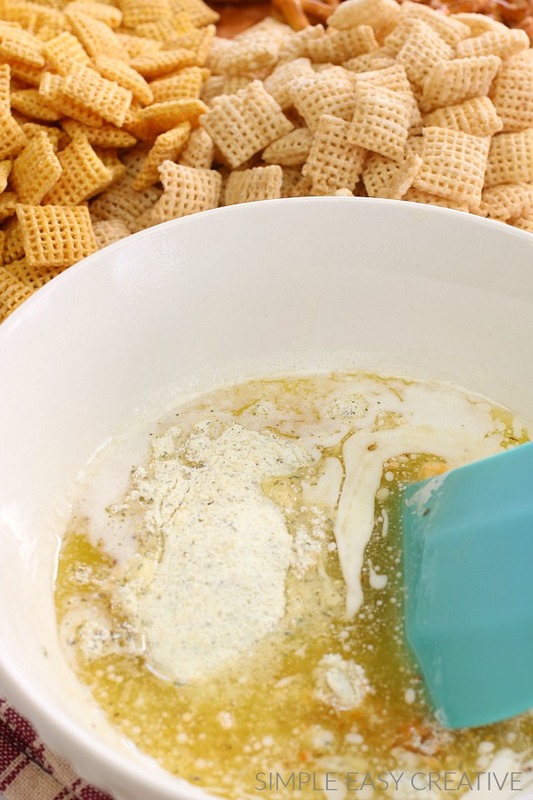 In a large microwavable bowl, combine cereals, crackers and pretzels. In a small microwavable bowl, melt butter, add Buffalo Wing Sauce, Ranch Dressing Mix and Celery Seed. Microwave for 4-5 minutes, stirring after 2 minutes. Spread onto paper towel until cool.